Pacon Marble Construction Paper is a heavyweight, two-tone colored paper that is ideal for a variety of school crafts and projects. 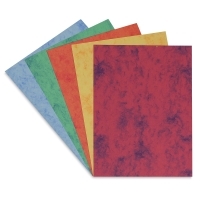 Acid-free and made from 100% recycled content, this practical classroom paper has a unique, marbled appearance that sets it apart from regular construction paper. It comes in packages of 50 sheets, including 10 each of Blue, Green, Orange, Red, and Yellow. 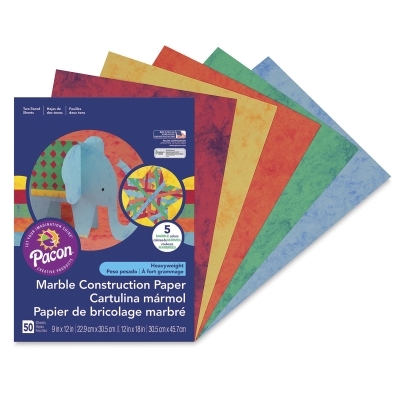 ® Pacon is a registered trademark.® Art Street is a registered trademark.